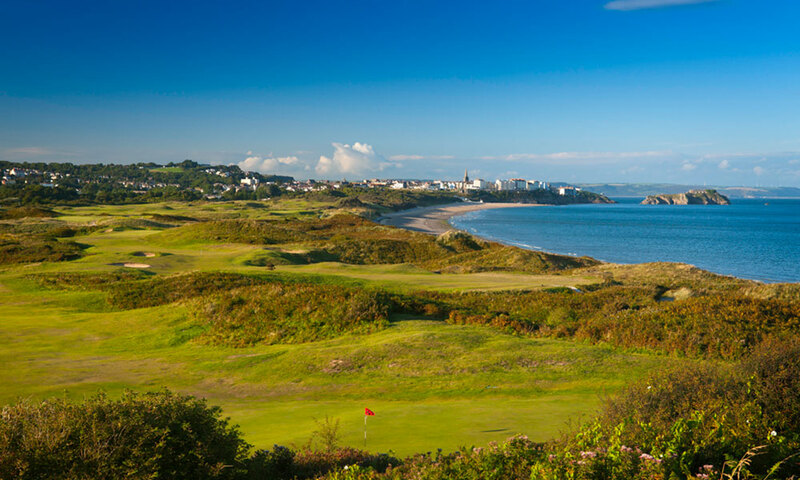 Located close to the railway station of the medieval walled town the splendid 18 hole links course has superb views over Carmarthen Bay and across the sound to the nearby to the nearby monastic island of Caldey. In an idyllic setting the Club regularly hosts national events including most recently the Welsh Amateur and British Ladies Amateur Championships. Playable at all times of the year the course is famous for its greens, said to be among the finest andtruest in the Country. The challenging early holes are often played into the prevailing south westerlies and return home is dominated by the high presence of Black Rock, which provides a spectacular finish for the Championship course.